Our mission is always to provide quality customer service and products. You can have us do everything from your landscape design work to installing a new fireplace inside of your home. You deserve a home you enjoy. What is MagraHearth? MagraHearth Mantels are created with the natural beauty of Stone and Wood. Meticulously hand-crafted using patented, lightweight, fiber-reinforced concrete, molded from actual Stone and Wood pieces. MagraHearth non-combustible products are designed to be installed not only in standard applications, but can be placed closer to the fireplace opening than conventional Mantels and surrounds. This both enhances the aesthetics of the fireplace and facing itself, and diverts the heat* away from the TV, electronics or artwork above the fireplace. Like the actual stone and 100-plus year old barn boards and beams were authentically molded, there is meant to be variations in the colors of all MagraHearth products. Individually hand-painted, no two mantels will ever be identical. * The MagraHearth mantel itself will get heated while fireplace is burning. As with any mantel, caution is advised if touching or placing any items on the mantel. By code, nothing combustible can be within the range specified by the fireplace manufacturer or local building code. Serving Appleton and the Greater Fox Valley area since 2007. Providing honest, professional service, keeping our customers' needs our top priority. We provide knowledgeable, professional and friendly service to get the job done RIGHT! Fireplaces (wood/gas), woodstoves, custom fireplace doors, gas logs, fireplace tools & accessories, outdoor fireplaces, firepits, interior & exterior stone veneer. Family owned since 1970, now employing third generation family members. Badger Masonry & Fireplace Supply, Inc. Hearth products and masonry products retail center. We are the Country’s LARGEST retailer of pellet and corn burning stoves, inserts, furnaces, and boilers. We have specialized in the sales, service, and installation of these appliances since 1991. While others have come and gone, we have remained solid in our commitment to the pellet stove industry. Our dedication and commitment have allowed us to stand out from the rest. Starting out by selling from a trailer to where we are today, we stand strong and stand behind what we offer. Focusing on exceptional customer service is our first and foremost objective. Secondly, we continuously strive to get you, the customer, the highest quality fuel at the lowest possible price. Guaranteed! Cleaning and delivery programs, guaranteeing pellet availability, and stocking every major part and component for every stove we have ever sold, are just some of the benefits of being an Earth Sense Energy Systems customer. Specialists in the sales, service, & installation of pellet & alternative fuel appliances since 1991. Stoves / Fireplaces / Furnaces / Boilers / Grills / Parts / Accessories More than 20 years of Passion, loyalty and commitment to our customers NFI certified professional maintenance and In-home service programs Pellet fuel delivery – including loose (bulk) pellet delivery Highest quality pellet fuel offered at the lowest possible prices Guaranteed Each stove is pre-burned and put through a 30 point inspection in our quality control shop. We stock every major part for every stove we have ever sold. Even parts for stoves we’ve never sold! You will buy your stove once, but you will need pellets and services for twenty years to come. Join the Earth Sense Family! *Authorized Dealer of Heat & Glo and Heatilator Fireplaces* Since 1985, we've been providing creative designs, quality installation & excellent service to customers throughout Southeastern Wisconsin. Country Stove & Fireplace offers a wide variety of services including fireplace and stove installations, full fireplace facing of brick, stone, marble, tile, and granite, as well as custom interior and exterior facades. One of the hottest trends in home lifestyles is the addition of an outdoor living area. We offer exterior fireplaces, fire pits, built-in grills and exterior kitchens. When it is time to add the fireplace of your dreams to a new or existing home, Country Stove & Fireplace offers free estimates and professional installations. Whether you are looking for new fireplace glassdoors or simply a new toolset, you will find it here in our charming country showroom. We offer the largest selection of premium fireplace furnishings. MISSION – Our goal is to help you, our customers, invest your money into a service that will provide you with the highest quality craftsmanship. Investing in your home creates a cleaner, safer, and healthier environment for you and your family. Because we know that home improvements and maintenance are an investment, we put our customers’ needs first by bringing you, the customer, a combined 38 years experience and knowledge, quality workmanship, and superior service. The inspiration for this company came from owner Doug Aungst’s 30+ years of hands on experience in the building industry. 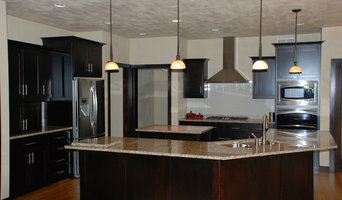 Doug worked in many areas of construction, remodeling design, and custom cabinetry and millwork design. He also served as guide in the selection process for custom builder clients. Over the years Doug took notice of many of the quality products that were available to builders and remodelers. He also saw that there were some that never made it to this market area. 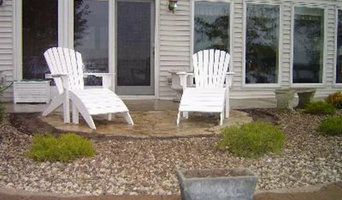 In the spring of 2006, Doug brought some of these products out of the shadows and into the market for the benefit of builders, remodelers, and their clients by forming Unique Stone Products. To make this company successful we needed to bring these high quality products to market at a very low price. Doug started making visits to the manufacturers and negotiating terms until he was finally allowed to become a distributor and receive the products at the lowest possible prices. Now, instead of selling to retail stores and outlets, he kept the company relatively small and began selling directly to builders and remodelers. Low overhead and factory direct pricing combined with no middleman deals to builders and remodelers has made Unique Stone Products an extremely valuable company to the budget minded. *Authorized Fireplace Lopi Dealer* Warm Sensations is a family owned and operated business that started in 1976. Beginning with wood stoves, we have diversified over the years with fireplaces, fireplace inserts, saunas, spas, chemicals for pools and spas and the accessories for each segment. We regularly attend seminars and conventions to learn the newest trends and techniques. We offer installation and service for the products we sell and have recently updated our showroom to display more products than ever! Fox Valley Stone and Brick Co., Inc.
*Authorized Napoleon Fireplace Dealer* Fox Valley Stone and Brick Inc. offers beauty and warmth for indoors and out. 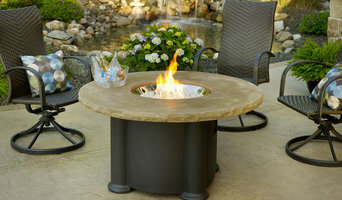 We offer the best and largest selection of quality hearth products, complete line of natural and veneer stone, brick and precast products, high quality, safe durable outdoor grills and we are at the forefront of landscape design and services with flagstone, stone edging, retaining walls and brick paving. LifeTime Chimneys is the family-owned Milwaukee chimney sweep cleaning and fireplace repair/rebuild company delivering décor-enhancing, hearth heating solutions to your Wisconsin home. Our Milwaukee chimney service professionals are certified by the Chimney Safety Institute of America ensuring your Milwaukee chimney or Waukesha fireplace is maintained by the strictest safety and environmental standards. 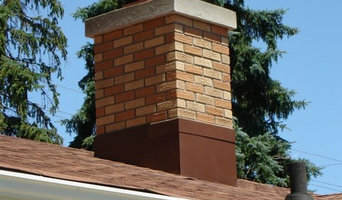 Our Milwaukee chimney repair and fireplace makeover services ensure your home heats safely and efficiently while maintaining a stellar aesthetic appeal. What should you know about buying a fireplace in Sheboygan Falls? Since wood smoke contributes to air pollution, many cities have banned the use of wood-burning units. If you’d like to buy a wood burning unit, check the Sheboygan Falls, WI city policies first. If your home already has a wood-burning unit that you’re concerned about, contact a fireplace manufacturer to replace your wood-burning unit with an environmentally friendly electric or gas alternative. Gas inserts can be efficient heaters and may lower your electric-heat bill. Many adjust to provide high heat on a cold night or a low-burning flame for ambience. Interior fireplaces and mantel designs are as varied as home interiors. From custom fireplace mantels made to conceal a flat-screen TV to custom hearth designs with elaborate Renaissance-style stone mantels, the latest designs can be found by visiting Sheboygan Falls, WI fireplace showrooms. Find fireplace manufacturers and showrooms, plus fireplace installation professionals, on Houzz. 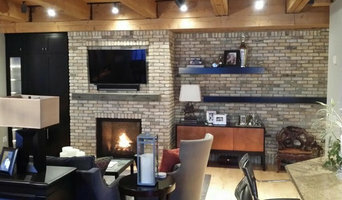 Go to the Professionals section to find Sheboygan Falls, WI fireplace design and installation experts.